City Buffet Galleria: Could Have Been Better | To Be, To Be. Tutubi. Last night, I had a chance to eat again at City Buffet in Robinsons Galleria. In case you missed it, I did my first review of this palce in 2012 and fast forward to 2016, I didn't think there was an improvement. Again, I was not paying for the meal because it was a birthday treat and while I thoroughly enjoy the evening with my best friends, I couldn't say the same for the food. 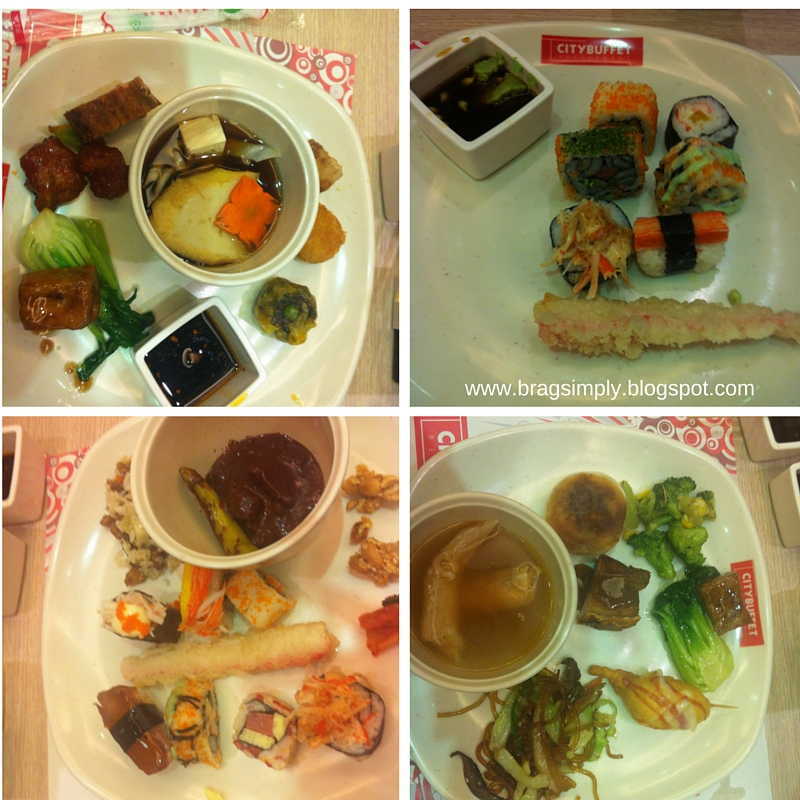 The dinner buffet on a weekday was at P399, inclusive of unlimited drinks. The aircon was not working so there were huge fans in the dining area. Only a few tables were occupied, so it was not hot nor unpleasant. As to the food, here are my plates and I think I have sampled everything except for the pasta and pizza. Of course, my first plate was from the sushi section and I had a piece of everything. No, they don't have salmon or tuna, only sushi. And they don't have shrimp tempura, only crabstick and vegetable. I asked, and they said they only serve shrimp tempura during weekends. Hayyyyy! Anyway, so there was little selection and there were just a few people. But the service was great. The crew were all smiling, and apologetic when I asked about the tempura, and was very helpful in making the sukiyaki. 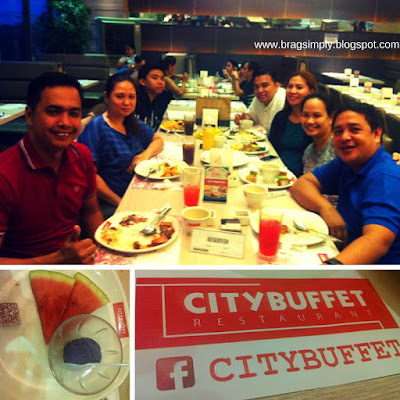 So, again, will I eat at City Buffet again? If free, yes. But if I were the one paying, I would rather eat somewhere else.